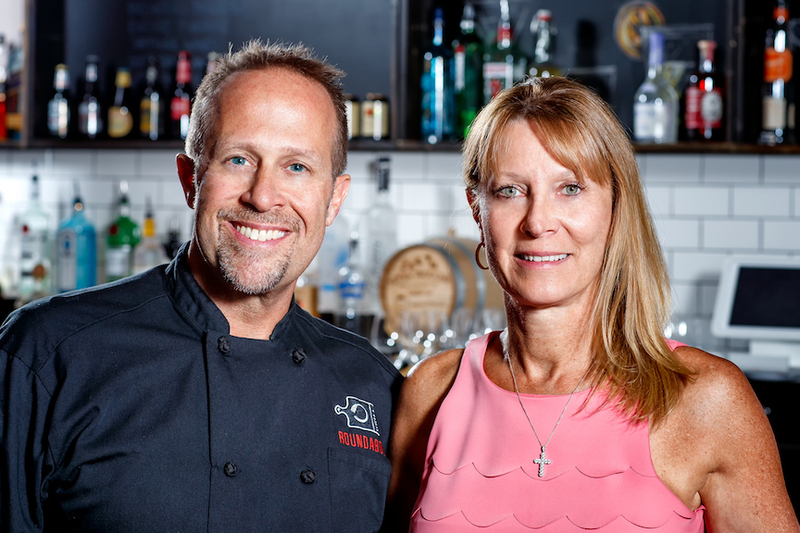 In 2007, Colin and MaryBeth Smith opened Roundabout Bistro and quickly became a local favorite. In 2011, the Bistro closed and expanded into Roundabout Catering & Party Rentals. The business quickly moved from a home kitchen to a comprehensive catering facility featuring a large industrial kitchen, a fleet of delivery trucks, a full-sized food truck and a warehouse of party rental equipment. Now, back in the kitchen at Roundabout Grill, our approach is simple. Our food is comfortable and familiar, relaxed and easygoing. We treat our guests and employees like family. We serve great cooking with innovative takes on classic, American comfort food that is sure to satisfy everyone! MaryBeth Smith has been in the corporate business world for more than two decades. She is the perfect balance of ingenuity and inventiveness for Colin in both marriage and business. 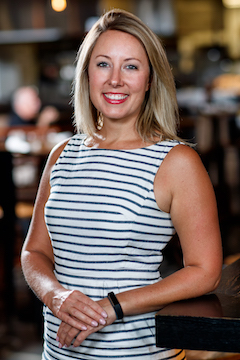 Helping to grow the company through acquisitions and leadership, she is the backbone of the Roundabout Catering and Roundabout Grill's businesses. She is also a talented designer and a stickler for detail. She is also a talented designer and a stickler for detail. When it comes to planning events outside of the kitchen, MaryBeth is extremely resourceful. She will take the colors, themes, style and location of your event and bring it to life. She operates a tight ship, but her caring attitude and natural business instinct has led the company into double-digit growth year-after-year. MaryBeth treats the staff like a family and empowers her staff to believe what they can achieve. "My ultimate goal: To start a foundation helping kids with scholarships." Anticipating and being in front of the customer’s needs. Being a Mother & Grandmother. Since age 14, Chef Colin Smith has seen many restaurant kitchens. Now with more than 30 years of culinary experience, Colin integrates tradition, innovation and creativity into his craft. Colin attended the California Culinary Academy in San Francisco and began his career as an apprentice in the kitchens of European chefs throughout the Bay Area. He went on to work in some notable restaurants like; Lippizaner, Duck Club, Saros, Danville Hotel and Stars. Colin came to Reno in 1994 and has done catering, special events and restaurants ever since. 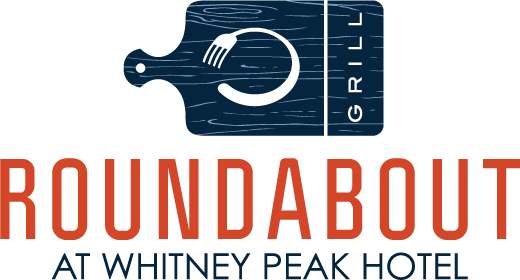 He has been responsible for opening seven separate restaurants throughout the Reno-Tahoe area, including Roundabout Grill in downtown Reno inside The Whitney Peak Hotel. In April 2017, Colin competed on Beat Bobby Flay. He appears regularly on Fox 11 Reno. Colin is a founding chef of the Big Chefs Big Gala event for Big Brothers Big Sisters of Northern Nevada, a member of Chaîne des Rôtisseurs and the High Sierra Chefs Association. Chef Colin is trained in the classical European style of cooking which shows in his technique and approach to unforgettable cuisine. Favorite dish to make at home: "Italian chicken with canavalia beans, tomatoes, garlic, chicken broth with white wine, oregano and onions." Beth Bach is head of Sales and Marketing at Roundabout Catering. She has worked in event sales for the past seven years. She and her mother, MaryBeth Smith, created the original concept for Roundabout Market. Beth is a proud Reno local. She graduated from Bishop Manogue High School in 2002, and then from Cal Poly, San Luis Obispo with a degree in Graphic Communications. She moved to San Francisco for a job in print sales, working with a diverse range of clients including Apple, Charles Schwab, and Banana Republics. Beth returned to Reno in 2008 and quickly became an integral part of Roundabout Market and Roundabout Bistro. Her main focus was overseeing the front of house staff and starting the catering arm of Roundabout. 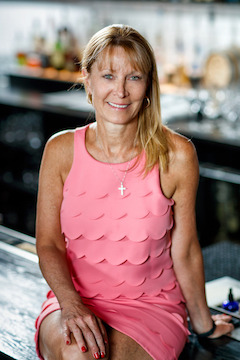 With the changing times due to the market in 2011 and the closing of Roundabout Bistro, she decided to move to Chicago to learn more about the industry. She secured a position with the restaurant empire Lettuce Entertain You, where she learned from the best, working directly under Richard Melman’s sons, RJ and Jerrod. She sold and coordinated private events for RPM Steak, RPM Italian, Hub 51, Paris Club, Studio Paris, Bub City, and Three Dots and a Dash. Beth is happy to be back in Reno, overseeing Roundabout Catering events and sales, Roundabout Grill, and the Tesla Café. Favorite Dish: "Christian Flores’ (sorry Colin) creamy polenta will always be one of my top snacks in our kitchens! Oh, And the scallops!" When you work with the best backdrop, it's impossible to choose! I've traveled through many beautiful places in Central America, South America, and Africa, but it’s tough to beat our mountains and stunning Lake Tahoe views. They say the difference between good and great is attention to detail. I aim for “great” every day.